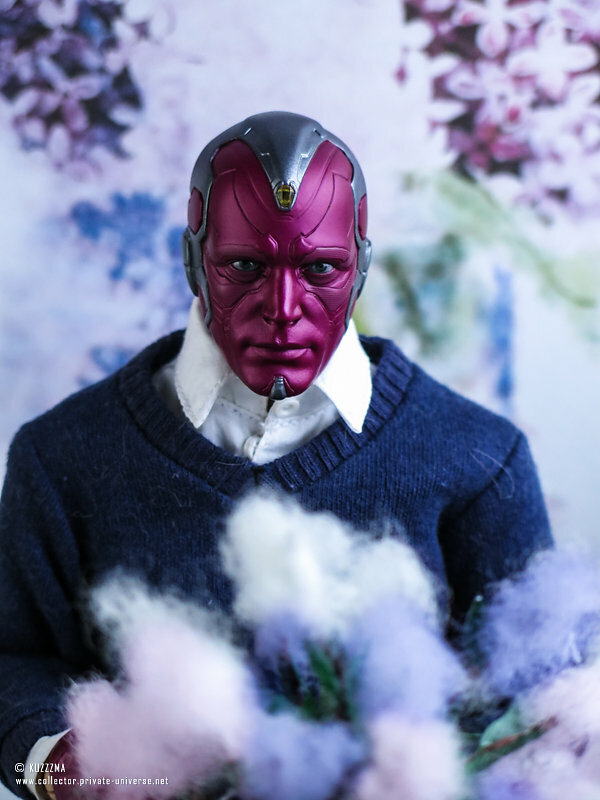 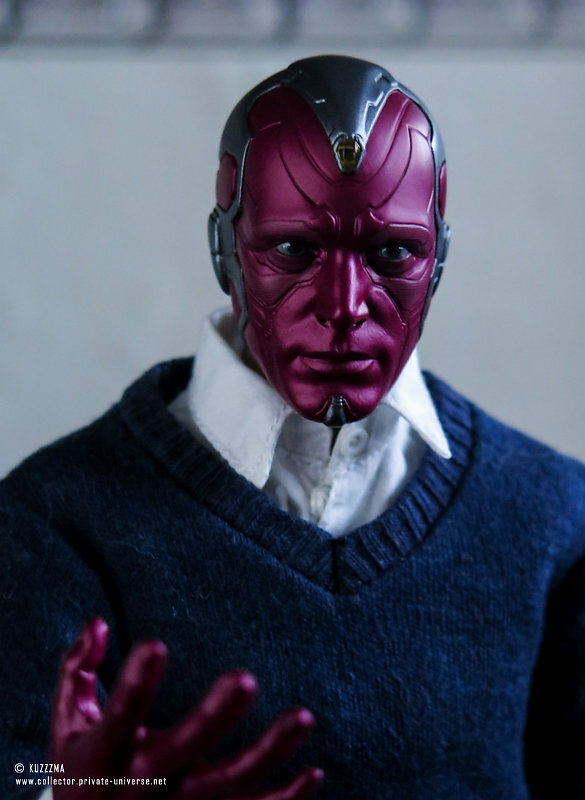 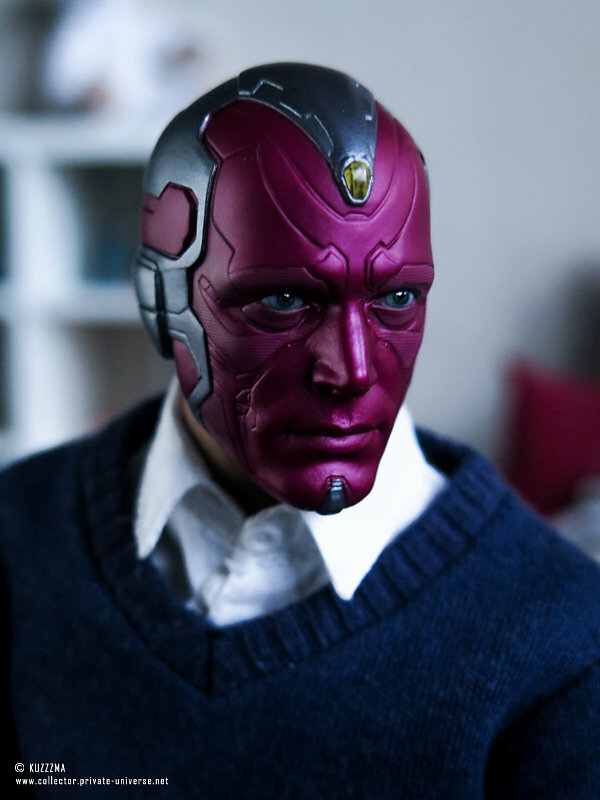 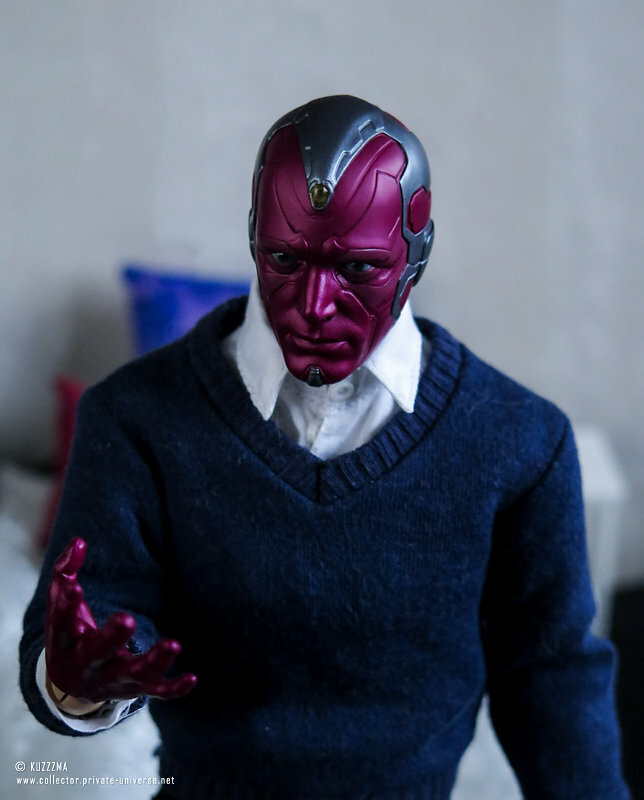 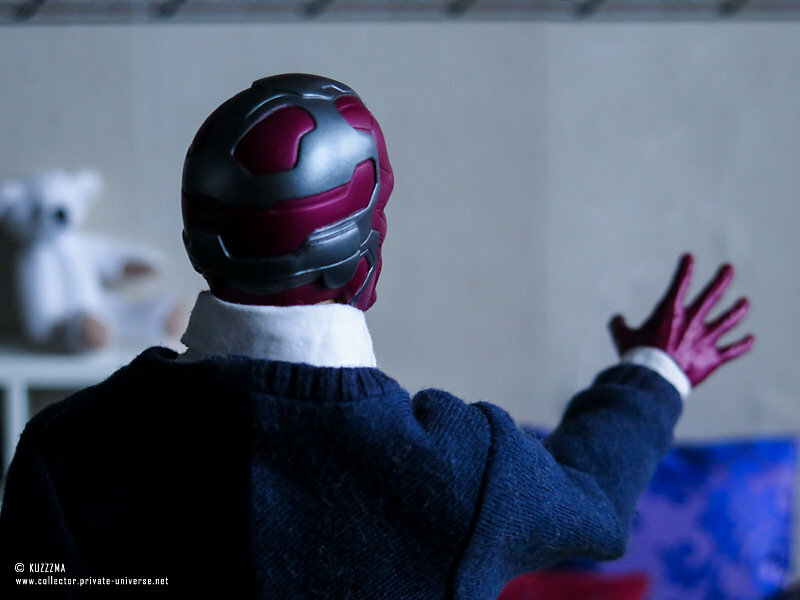 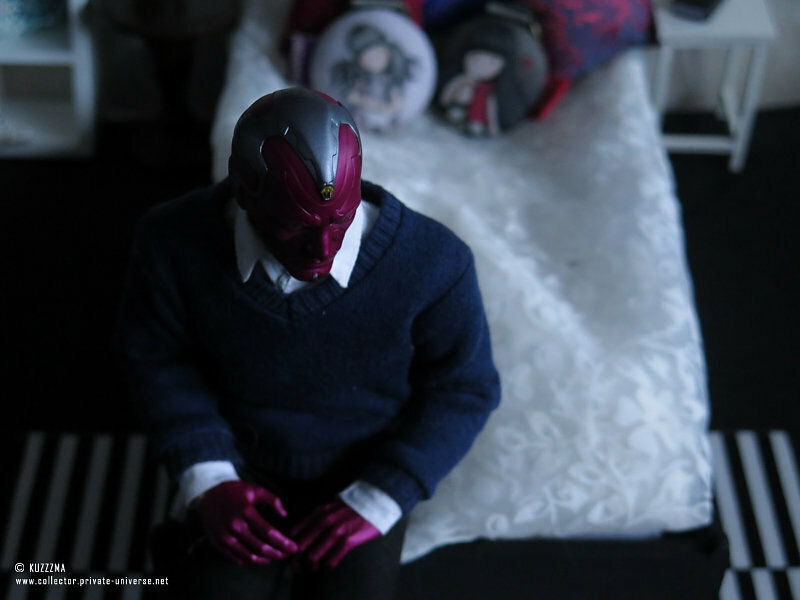 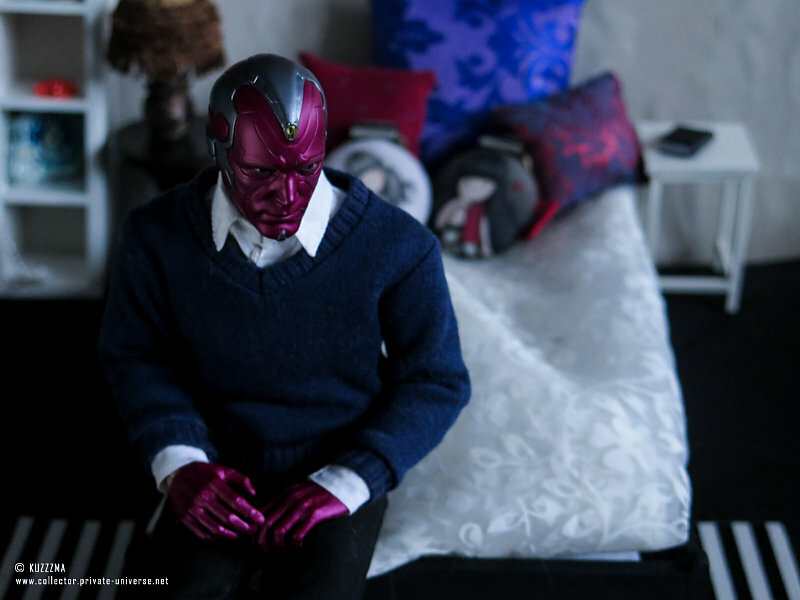 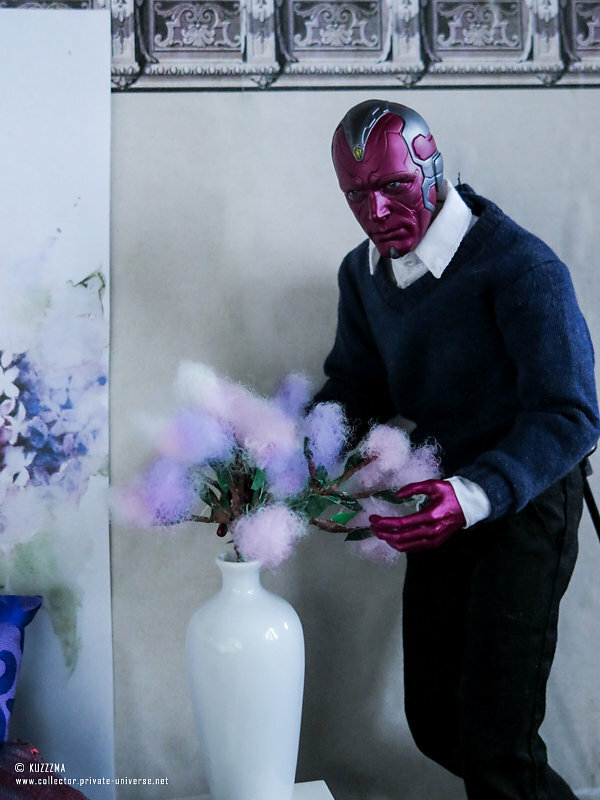 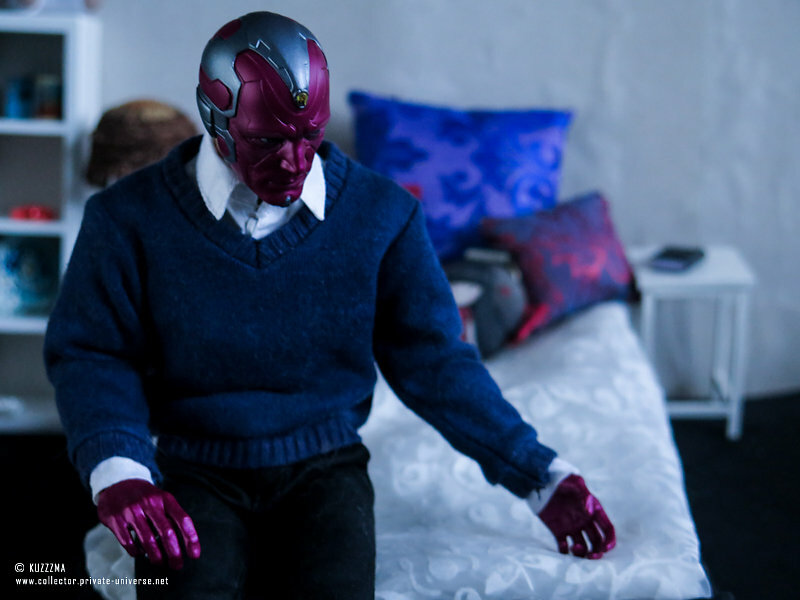 Used : Action figure of Vision by Hot Toys (Age of Ultron), diorama by myself, using various accessories in 1/6 scale format. 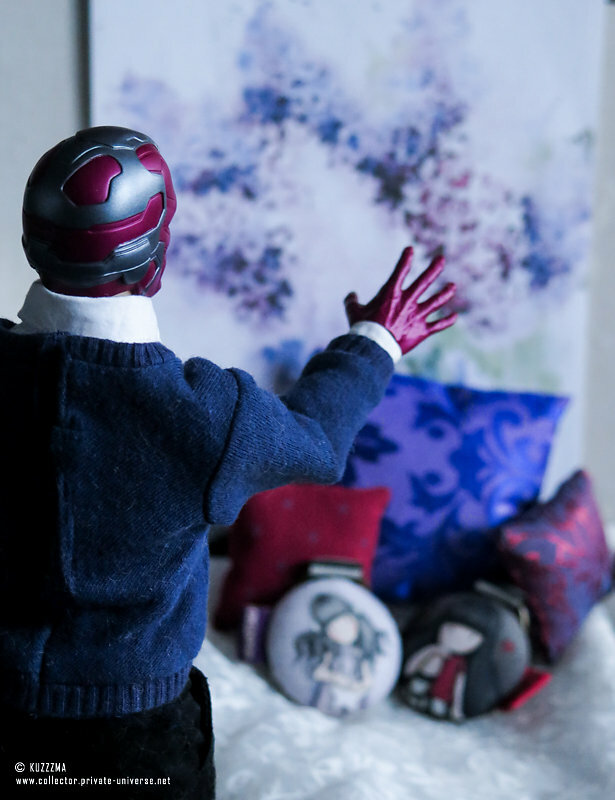 Notes: Missed scene - making one's regard known. 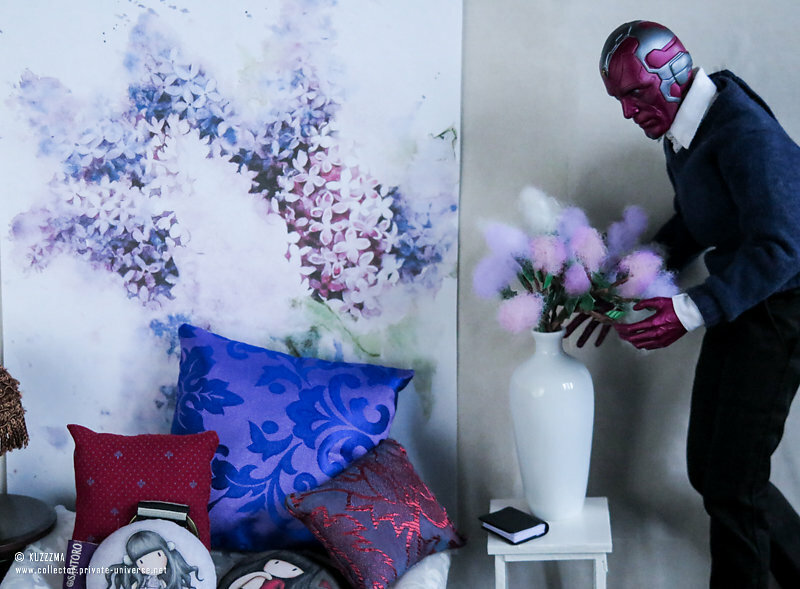 This was created for special quest part of Fandom Battle Competition, theme given was "The Language of Flowers - Lilac", in traditional language of flowers, purple lilacs symbolize the first emotions of love, while white lilacs represent youthful innocence.